It has gotten to a workable state so I am releasing it. Of course there may still be bugs and/or overlooked licensing issues – but these will be solved on the go. From some initial testing all seems okay though. Thank you. Yep, works with the emulator. There’s not many games on that SD card compared to the official one, most of it is by me I couldn’t include anything that’s not strictly FOSS, so e.g. the gamebuino ports are missing (the GB games are LGPL, but the additional port code doesn’t have a license on it). I’ll be searching for more games to add though, this is only what I’ve added today. But you mentioned in the original post that the PokittoLib is moving to FOSS eventually? This is just a "in the interim " type thing? As I understood the plan is to clear the licensing in the official library in the future, people agreed with me it should be fixed, but generally the community isn’t so strict and is willing to accept occasional licenses that aren’t strictly FOSS, e.g. by being tied to a specific processor. So I’d simply like PokittoLibre to be here for the niché subcommunity that prefers to address these issues first. I can’t tell what the future holds – if licensing becomes all clear in the official library (or people like us become extinct ), PokittoLibre won’t be needed anymore and can retire. Note that I dropped a lot of things in this fork (the simulator, support for some environments etc.) so it’s not as simple as merging my library into the official one at the moment. Also I’ve been thinking about creating a small, minimalist website as a part of this, with FOSS only games, tools etc. But that’s just an idea now. As a next step I’d like to fork the loader as well, the official one is still using non-free code. But that can wait a while. Then of course there is this small piece of low-level proprietary code in Pokitto ROM, but that one I will simply tolerate, it’s basically almost hard-wired, read-only, BIOS-like code. Awesome! I’ll give it a try when I get some spare time. I’m a passionate foss enthusiast but I do make some exceptions here and there (discord and steam as primary examples.) But I’d love to see PokittoLibre work out and keep the official build for necessary occasions. Definitely a challenge. But worth fighting for in my opinion. You can include the opensource gameboy games. The ZBoy emulator is GPL. 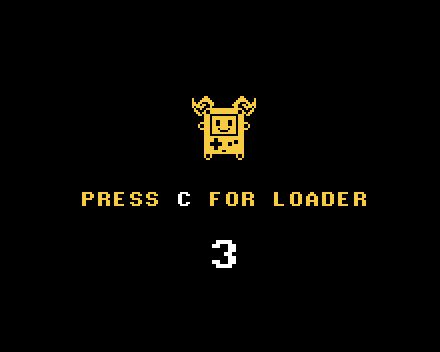 Could be done, but I can see the games have the original start screen, so the convertor uses the original PokittoLib? So I’d have to modify that as well. I can add it to my TODO list. I have to admire your dedication to this!